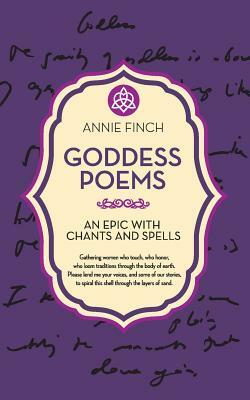 This collection bring together poems to the Goddess by award-winning poet Annie Finch. Delicate lyrics and a moving epic show that Finch, who has published 18 books of and about poetry and performed her poetry around the world, is closest to home when she writers of the Sacred Feminine. In words that soar but are never obscure, Annie Finch tells of Goddesses who have returned offering threads of meaning with which to weave our lives anew. --Carol P. Christ, Rebirth of a Goddess "The gravity of Goddess is above my eyes, when I look up like someone's child." -Annie Finch About Annie Finch: Annie Finch's most recent books are Spells: New and Selected Poems and A Poet's Craft: A Comprehensive Guide to Making and Sharing Your Poetry. She has taught poetry at many universities and is the Director of poetcraftcircles.com. She is also the founder of the community marketplace AmericanWitch.com.